WHAT DOES A MALPRACTICE ATTORNEY DO? 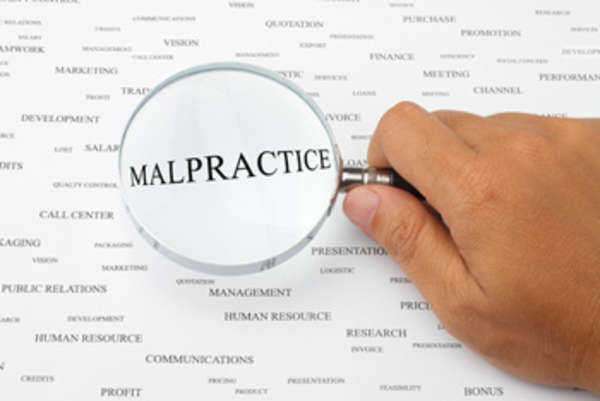 A malpractice attorney is exactly that, an attorney barred by the State who practices in the area of malpractice law. There are varying types of malpractice that range from medical malpractice to legal malpractice and their expertise is essential in contemplating any kind of litigation. Malpractice is defined as the improper, illegal, or negligent professional activity or treatment by a medical practitioner, lawyer or public official. The aspects of each form of malpractice are detailed and intricate. WHY WOULD I WANT A MALPRACTICE ATTORNEY? There are numerous reasons why an individual would want a malpractice attorney. The first and foremost is that in a field so specialized and so complex it is pertinent that malpractice attorney with the experience and knowledge of both the law and the field that there is the optimal chance of a positive result. Secondly is the statute of limitations. The statute of limitations varies depending on the area of malpractice that the dispute involves. In medical malpractice there is only a window of thirty (30) days in the State of New York in which to file your claim. This time period begins to toll once the treatment of the patient is final. Because it could be months, if not years, before an individual realizes that they were the subject of malpractice it is imperative that an attorney with the knowledge of the procedural aspects of malpractice be contacted as soon as possible so that window of availability is not closed. The statute of limitations for legal malpractice in the State of New York is three (3) years. As with medical malpractice, sometimes it may be difficult for a client to realize that malpractice has occurred and for such reasons it is important to consult a malpractice attorney to go over any thoughts of legal malpractice and insure that a complaint is filed within the prescribed statute of limitations. In most malpractice cases, and especially in medical malpractice cases, the need for expert witnesses to testify as to the existence of malpractice is often essential. An malpractice attorney who focuses primarily on a specific form of malpractice is more likely to either have worked with those experts in the past or know where and how to retain them if necessary. Finally, and probably the most important reason to acquire a malpractice attorney is that your opposing counsel will be doing everything in his or her power to insure that you lose your case. You have heard the advertisements on television, "the insurance companies have attorneys working hard on their side, and so should you." When an individual files a malpractice action he/she is not suing the physician or attorney per se, he/she is in actuality seeking money from that individuals insurance company. Insurance companies have pools of attorneys and a wealth of money to attack the situation. An individual with subpar representation is more likely than not to end up on the proverbial "short end of the stick." For these reasons, and more, if considering a lawsuit based on malpractice it is in your best interest to consult a malpractice attorney as soon as possible.